“Federal health officials [ ] added new safety alerts to the prescribing information for statins, the cholesterol-reducing medications that are among the most widely prescribed drugs in the world, citing rare risks of memory loss, diabetes and muscle pain. Diabetes patients and even those who develop diabetes while taking statins should continue taking the medicines, said Dr. Steven Nissen, chairman of cardiovascular medicine at the Cleveland Clinic who has studied the medicines extensively. A clearly articulated, historically informed, riveting new book by Dr. David Healy, PHARMAGEDDON, published by the University of California Press, provides an insightful analysis of the culture in medicine that has led prominent medical authorities to make unsupportable, contradictory public pronouncements about the presumed clinical value of patent-protected prescription drugs. Contrary to industry propaganda, in company-controlled clinical trials, statins failed to demonstrate a clinical benefit—except for those with established cardiovascular disease. Indeed, there is no evidence that any blockbuster drug saved lives or demonstrated a significant clinical benefit—these drugs merely exhibited an effect on a rating scale greater than a placebo. By contrast these drugs’ severe adverse effects are demonstrated by patients’ deteriorating health and premature deaths. To be sure there have been other critiques about the commercialization of American medicine and undisclosed conflicts of interest that raise serious doubts about the integrity of medicine. But Dr. Healy probes deeper, bringing into sharp focus how industry has masterfully exploited regulations aimed at reining in its deceptive marketing practices, including withholding safety data, failure to demonstrate drug effectiveness, and its price fixing schemes. He identifies three regulatory changes that were enacted under the leadership of Sen. Kefauver in 1962: patent protection changes for branded pharmaceutical products; restricted prescription drug privileges for doctors only; and a requirement for industry-controlled clinical trials that are designed to demonstrate a benefit over placebo. He shows how these regulatory changes were seized by the pharmaceutical industry to gain control of medical research and ultimately, control over medical practice. Ironically, rather than rein in industry’s deceptive practices, these regulations, as well as the mantra calling for evidence-based medicine in the form of controlled clinical trials, which industry subverted by taking ownership of medical “science.” It then proceeded to derail medicine from its life-saving mission toward increasing consumption of drugs for chronic conditions whose side effects undermine overall health, more often than not, resulting in additional drug prescriptions. Dr. Healy disputes the validity of the claim that clinical trials are the essential bedrock for “science-based” medical practice, noting that when a treatment is unambiguously therapeutic—e.g., antibiotics—we don’t need a controlled trial to prove its clinical effectiveness. Placebo-controlled clinical trials are pharmaceutical companies’ essential tool for marketing ineffective drugs whose serious risks of harm are not obvious. The “gold standard” in medical research is embodied in company-controlled trials that are designed to demonstrate merely a “statistical significance” of a benefit over a placebo—without having to demonstrate clear evidence of a clinically significant benefit. What’s more, company-controlled trials are not designed to identify severe though not obvious adverse effects. FDA’s approval standard for marketing a prescription drug as “safe and effective” is based entirely on this lopsided, commercially profitable “gold standard”—even when “statistical significance” was demonstrated in only two out of 100 clinical trials—and even though more people died testing the new drug than did those on placebo. Those inconvenient deaths in the trials were dismissed as irrelevant, not having met the arbitrary “statistical significance” standard. Dr. Healy makes the case that privatization has led to corruption of medical research at its core. He cites evidence documenting that 30% of clinical trials remain unreported while almost all of the 50% that are reported, were ghostwritten, and 25% of published trials misrepresent the evidence. With assistance by its acquiescent “partners” in academia and government, operating through subterfuge, deception, creation of marketing myths and diseases, industry’s marketing claims that masquerade as science-based medicine have corrupted much of the scientific foundation underlying medical practice—including standardized clinical practice guidelines that often become mandatory. These treatment guidelines formulated by consensus panels that were financed by industry, and relied on industry’s corrupt clinical trial reports. Such formularies and guidelines—on the order of medical “Manual for Dummies”—are based on reductionist measurements and rating scales. Such reductionism dehumanizes people while denigrating the physician’s professional judgment: the “learned intermediary’s” role is thereby reduced to that of an assembly line worker in a manufacturing plant—i.e., a cog in industry’s wheel of fortune. In this scenario Dr. Healy may have a point in suggesting that doctors hooked on industry’s propaganda are not best suited to make prescribing decisions for poisons they do not recognize. It can also be argued that if prescription drugs are “safe and effective” why do we need doctors to serve as gatekeepers? The turning point, he suggests, occurred in the 1980s, when the first blockbuster drugs—Zantac for ulcers, followed by Prozac for depression—were inordinately successfully marketed despite poor performance in clinical trials. They were catapulted to blockbuster status by aggressive false marketing claims about their benefits while their potentially lethal hazards were concealed for decades. Physicians, he writes, have been hypnotized by corrupted scientific reports. The medical model no longer focuses on saving lives, nor even on finding cures for disease. Under industry’s influence, medical practice is focused on chronic disease management, by monitoring check lists for mood disorders, rating scales and screening tests for cholesterol levels, blood-sugar levels, bone-density scans. These tests are used to justify prescribing ever more drugs for multiple conditions—many of which were triggered by the prescribed drugs. Doctors are in denial—even when patients in front of their eyes are suffering from treatment-induced acute distress. Since American medicine came under industry’s influence, America’s ranking on healthcare matters among developed countries fell from #1 in the 1960s to #72 in 2000. As the NYT report (above) underscores, even as FDA’s analysis of statins confirms evidence of serious cognitive risks—which can become debilitating—and risks of diabetes—which are life-shortening—doctors are strongly advised to continue prescribing the drugs widely. With sales of $35 billion annually, statins are ingested mostly by people who do not have cardiovascular disease. They are prescribed for those for whom the drugs offer no benefit. 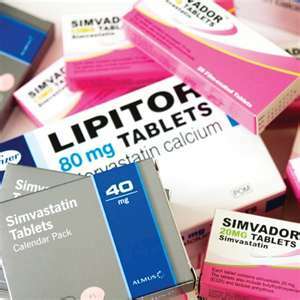 Statins are prescribed as risk management drugs for people whose cholesterol level is arbitrarily designated “at risk” on a rating scale. Other harm-producing blockbusters include: Cox-2 inhibitors for arthritic pain; blood-sugar lowering drugs for diabetes; beta agonists for asthma; antidepressants and antipsychotics for mental anguish. Even as these drugs’ ill effects are evident in the physical or mental condition of patients, doctors continue to prescribe the drugs, having been blinded by Industry-subverted “evidence-based medicine” and assured that the ill effect is “anecdotal.” Dr. Healy cites evidence showing that 80% of such observed “anecdotes” turned out to be correct. The number of deaths or serious adverse events reported to the FDA is increasing by 5% to 10% annually—a disproportionate share attributed to blockbuster drugs of questionable clinical benefit. In the most poignant section of the book, grief-stricken mothers of children killed by prescription drugs speak out. The adverse effects of the drugs were concealed from them and from the doctors who prescribed them. Yet, these mothers stand alone as they confront the Goliaths—FDA gatekeepers at public hearings—and companies in court depositions. The mothers are not supported by doctors who should be outraged at systemic deception about the risks and indemonstrable benefits of drugs that led them to prescribe poison without judiciously assessing possible lethal consequences. He likens these mothers to Demeter of Greek mythology who forcefully shamed Zeus to take action and bring back her abducted daughter. But today’s immoral medical arbiters have no shame. Dr. Healy’s tone in PHARMAGEDDON is an anguished recognition about the destructive uses to which medicine has aligned itself; about the complicity of professional gatekeepers who have watched in silence as the science underlying medical practice since the 1980’s has been irredeemably corrupted; about physicians entrusted with prescription privileges who betray patients’ trust by administering poisons without regard for the risks of harm. The book is intended for a wide educated audience. It is a compelling resource for anyone who suspects that medicines pose serious risks, and that doctors are not all that knowledgeable about the hazards of all the drugs they prescribe. We need raise questions in order to protect ourselves from medically unjustifiable, potentially harmful, usually costly treatments. Instead of following Pharma’s directive, “ask your doctor if this pill is right for you…” we might do better to ask the doctor to show us the basis for his recommendation.